The March Divide, aka popsmith Jared Putnam, does a lot by not quitting. Monday, Nov. 14, 8 p.m. 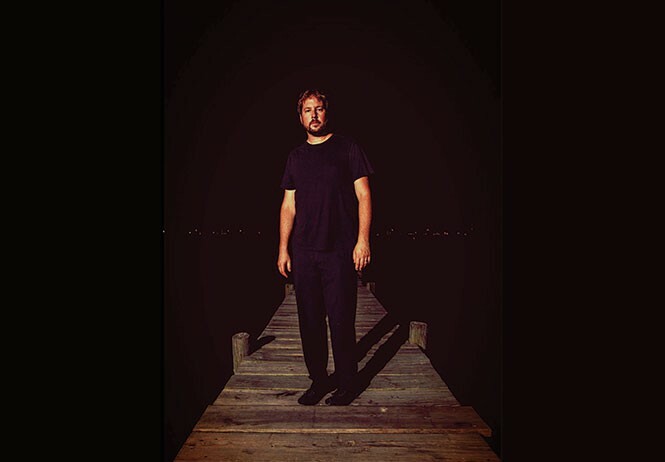 Initially, it was tough to put my finger on what exactly lured me in to the unapologetically earnest charms of Saturdays, the third full-length album by San Antonio native Jared Putnam, aka The March Divide. It's anthemic as hell, packed with songs that are relentlessly likable and catchy enough to make a crotchety music snob like me perk up and remember how to have fun with an album. It's one of the first things that I discuss during a telephone conversation with Putnam. "Musically, I was trying not to take things so seriously and let go a little bit," he says. "It's just pop music. I'm not going to cure cancer with it." Putnam credits his interest in music to a cousin who happened to have an interest in '80s metal bands like Iron Maiden and Metallica. "I was in a metal band when I was in high school, but that was very far removed from what I do now," he says. "Everybody was in a metal band at some point." While The March Divide definitely knows how to channel a proper rock 'n' roll aesthetic, his music is a bit more in the vein of early '90s emo greats like The Get Up Kids and The Promise Ring. Putnam has been running The March Divide as a one-man show since he launched it back in 2012. He started by releasing a handful of singles—among which were a few beautifully stripped-down versions of classic songs by The Cure and Radiohead. In 2013 came Music for Film, his first full-length album, and Putnam really hasn't taken a break since then. In addition to that and 2014's Billions and Saturdays, he's also released four EPs—the latest of which, Bribing Jace, was released this month. While this kind of output is impressive for any band, the fact that Putnam is a solo act self-releasing so much music makes it all the more admirable. "The one thing about doing it on your own is that it's easy to get down on yourself if you don't really connect with the crowd one night," he says. "But, I've been able to do a lot just by not quitting and putting the work in." It's interesting to listen to Saturdays in the same sequence as The March Divide's earlier albums. While there are clear evolutionary differences among all three albums, there's something optimistic and uninhibited about this one. "In the past, I had just written a bunch of depressing stuff, so I just tried to have more fun with it. It was nice to do," he says. As we discussed the differences between Billions and Saturdays, Putnam reveals that having his first child had a huge impact on the latter album's creation. "It's the first album that I've done post-kid, and ... I felt like a lot more of a grown-up making it." Our conversation took place just before Putnam hit the road for the tour, but he spoke fondly of visiting Utah again. "I used to be in a band called The Conversation, and we always had a great time in Utah. I'm looking forward to seeing a lot of friends that I haven't seen in a long time," he says. For the first five days of the tour, he's playing with a full band, featuring Garrett Klahn of Texas Is the Reason. By the time Putnam reaches Utah, he'll be flying solo, playing acoustic sets. Wrapping up, he takes a moment to discuss the state of the music industry in 2016. "There's so much more opportunity for people to get noticed," he notes. "2016 has been the best year, as far as albums being released, in my lifetime, and the indie rock underground scene is stronger than ever." With stalwarts like The March Divide giving us an excuse to pump our fists in the air, it's not much of a surprise.